Enjoy the flexibility to explore the great outdoors at your leisure, visit heritage sites, relax on blue flag beaches and in the evening, enjoy the music and chat in local taverns. 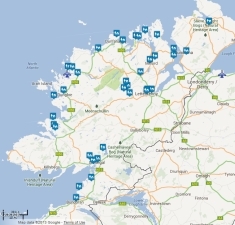 Houses for rent in Donegal Ireland, in the Republic of Ireland. We hope the information provided will meet with your holiday requirements if not please contact us. Donegal – a place of Welcomes!